The concept of this year’s Austrian design exhibition is dedicated to pioneering design spirit that radiates from the shining stars among major Austrian design pioneers. Names worthy of mention are Adolf Loos, who reformed modern architecture, Carl Auböck, the style pioneer of the post-war period, Hans Hollein, the pioneer of the post-modern phase, and Coop Himmelb(l)au, the forerunner in deconstructivism. The aim of creating something new that has never been done before unites most designers; this often goes hand-in-hand with entering into new territory. Recognition of these pioneering achievements always also applies to the clients, investors and companies that are willing to back new products, concepts, production methods or even sales and economic models. Most pioneers in the creative disciplines built up their reputation as such afterwards, once their achievements had been viewed in a historical context. In 2015, the AUSTRIAN DESIGN PIONEERS exhibition aims to provide a contemporary overview of the latest innovations and trends from Austria’s creative design scene and to represent its thoughts and ideas, setting the stage for the Austrian pioneering achievements of tomorrow. To offer a complete overview of the Austrian design landscape, this year also projects of students from Austrian design universities will be presented. The project portfolio of studio Vasku & Klug ranges from architecture, interior design and exhibition architecture to scenography and corporate architecture. Fascinated by the idea of the historical synthesis of the arts, Michael Vasku and Andreas Klug follow the unchanging motto of treating every planning task as a whole, which involves close integration of the art-related disciplines of lighting, graphics and media. In addition to its clerical activity in Vienna, Vasku & Klug has also been involved in teaching since 2012 in the form of an “Interdisciplinary Design Studio” at the Tomas Bata University in Zlín (Czech Republic). La Pelota is the venue of the sixth Austrian design exhibition at Fuorisalone. It is a former sports facility that dates back to the year 1947 and is now used as an events location for presentations and fashion shows. Over the last few years, the companies to showcase their products at La Pelota during Salone Internazionale del Mobile have included Established&Sons, Hermès or designjunction, with the result that it swiftly became renowned as a major Fuorisalone location. Also organised by ADVANTAGE AUSTRIA, the Austrian design exhibition also took place there in 2012 under the motto “Austrian Design – Raw & Delicate”. 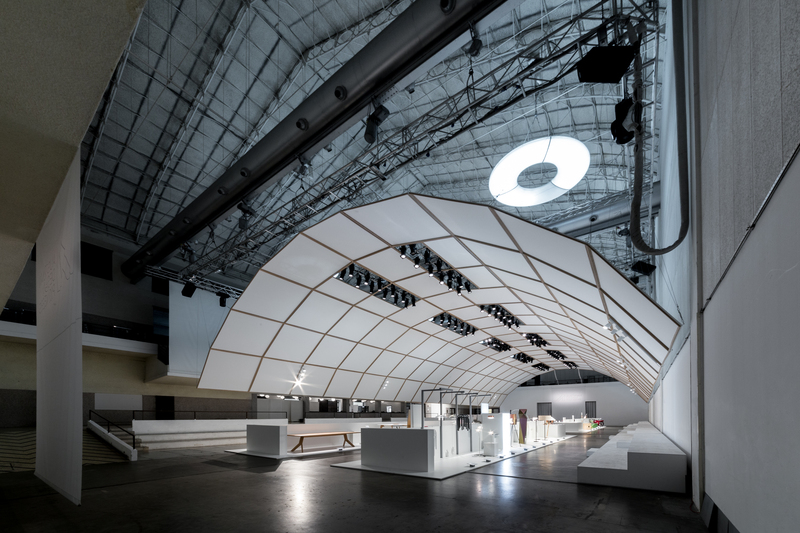 Austria’s design scene showcased itself to more than 18,000 visitors on an exhibition space that measures around 800m2. La Pelota is situated in the district of Brera at Via Palermo 10, 20121 Milan. 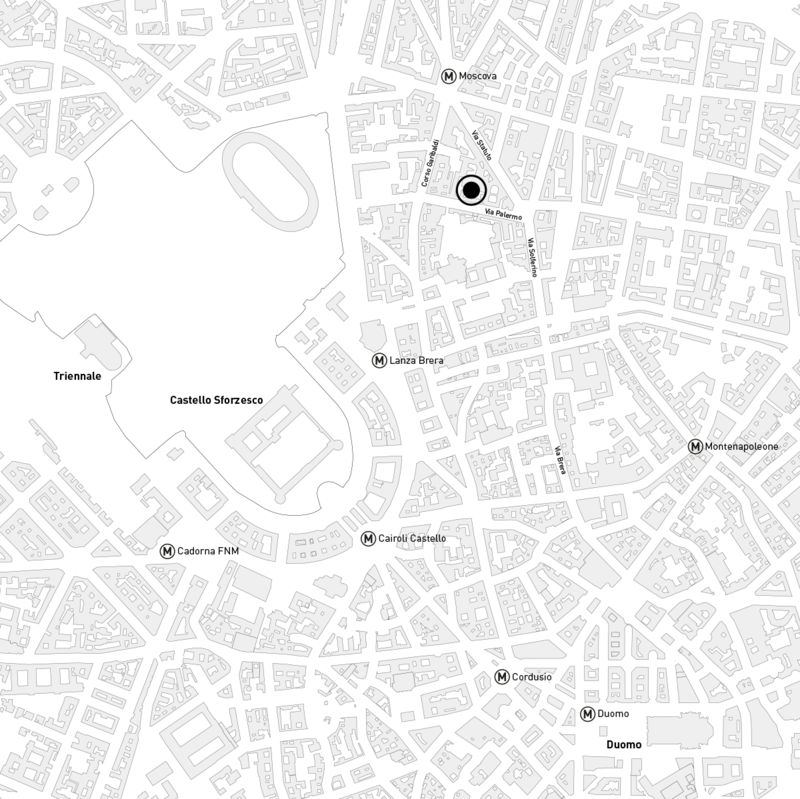 Located between Corso Garibaldi and Via Solferino / Via Statuto, the space finds itself directly in the middle of the busy Brera Design District.